The great thing about tabletop games is that they come in all shapes and sizes, from simple card games that can occupy you for fifteen minutes to behemoth endeavors that can last days, weeks, or months. If you have a particular situation, chances are there is a game on the market that is tailored specifically to your needs. 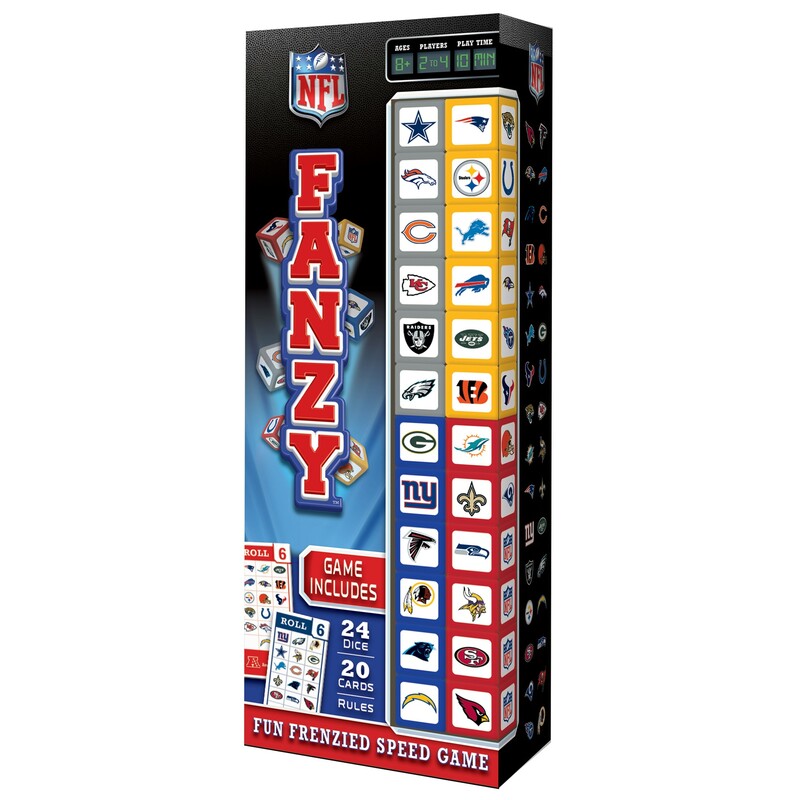 Developed by Masterpieces Inc. NFL Fanzy is a fast paced dice game meant for 2-4 players of almost any age. 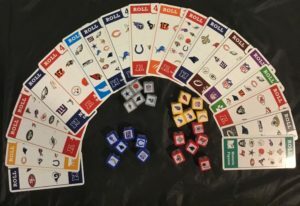 It’s premise is incredibly simple, flip over one of the included 20 challenge cards, grab your 6 color coded dice, and try to be the first to complete the cards objective, it’s that simple. Masterpieces has also included rules for 5 different minigames, each a variation on the same basic theme. 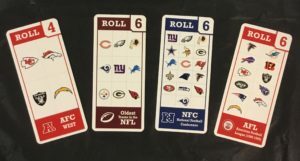 For instance the standard game “High Five” requires you to be the first to collect 5 challenge cards, while “Double Or Nothing” literally ups the ante by having 2 challenge card draw piles on the table simultaneously, with everyone competing to be the player that accrues the most challenge cards after both piles are depleted. 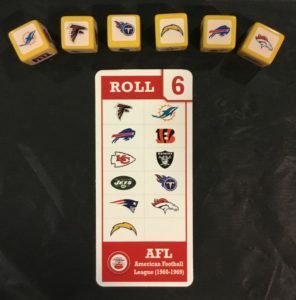 I had a ball playing this, and thankfully (for the other members of my test group) you don’t have to possess a knowledge of the NFL in order to be competitive, although it does help not having to constantly check the dice against the challenge card if you already know that the Giants are in the NFC for example. Most games took between 5-10 minutes to complete and it wasn’t long before we had whiled away an hour or two without even realizing it, I honestly can’t think of a better icebreaker game, as the only reason someone wouldn’t like this game is if they don’t like fun. I’m not going to pad this review with a lot of fluff, this game doesn’t require it. 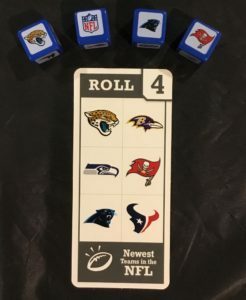 In my book, for a game that works for everyone in your family and friend group, NFL Fanzy checks all the boxes: Low cost of entry ($21.99 on their website), easy to learn rules, and fast but engaging play, what more do you need?